Gift Certificates can be for any amount. The person receiving the gift can use the value towards any services we offer. We believe in supporting our community and feel that cost shouldn't be the reason that people can't play. We are a small family business and do what we can to offset and provide free classes to those who need it. Any help you are willing to provide for those in need, whether it is someone in particular, or an organization we support, is greatly appreciated. If you have an organization in mind, please let us know, as we are always up for accruing some good karma. 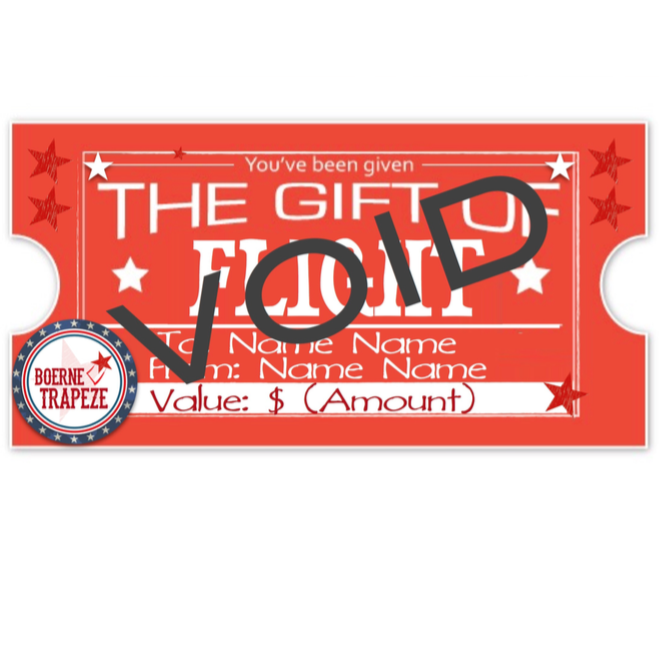 If you want a Customized Gift Certificate that looks like the one above, we are happy to make one for you at no additional cost. 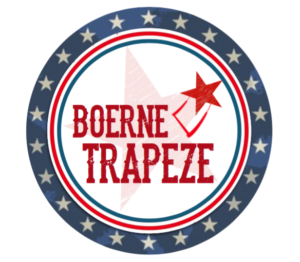 Email boernetrapeze@gmail.com, after you have made your online purchase, and we will send you a PDF. (If you have any trouble doing this online, or would prefer to do it over the phone, no worries. Ring us at 210-775-8106 and we'll help.